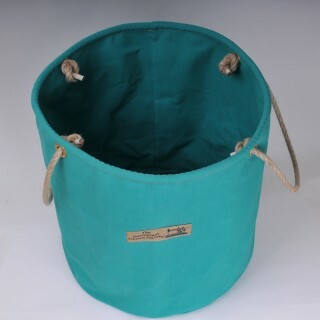 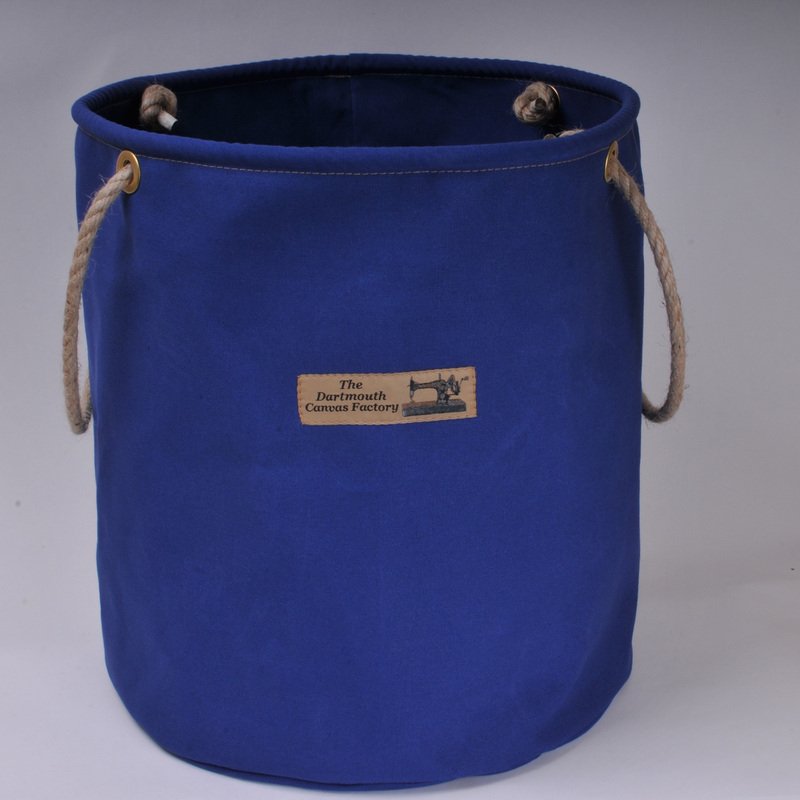 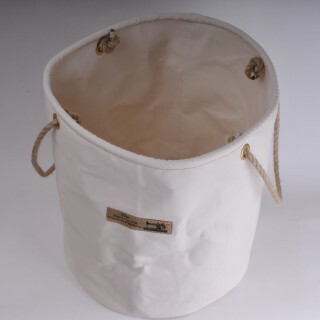 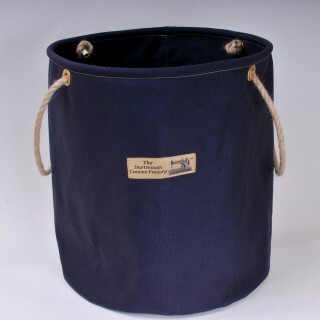 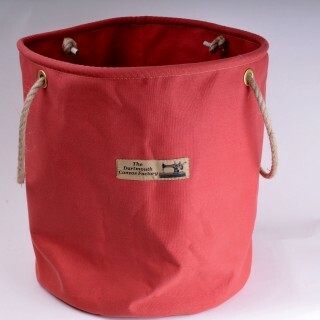 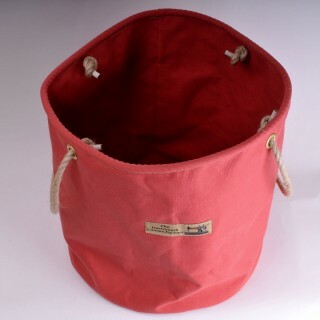 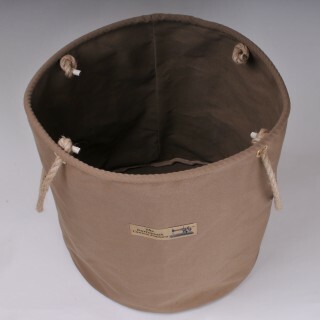 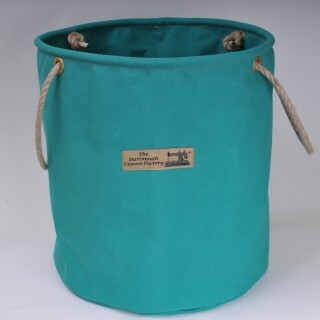 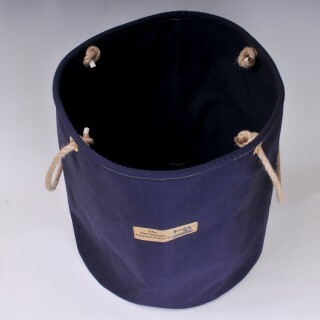 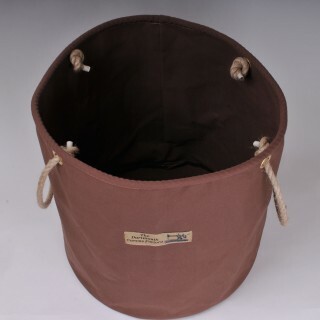 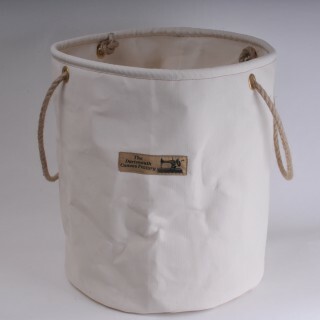 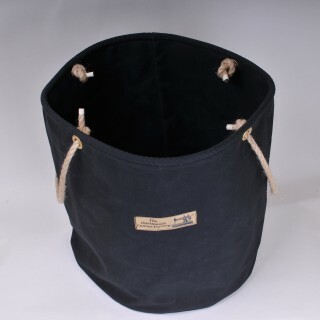 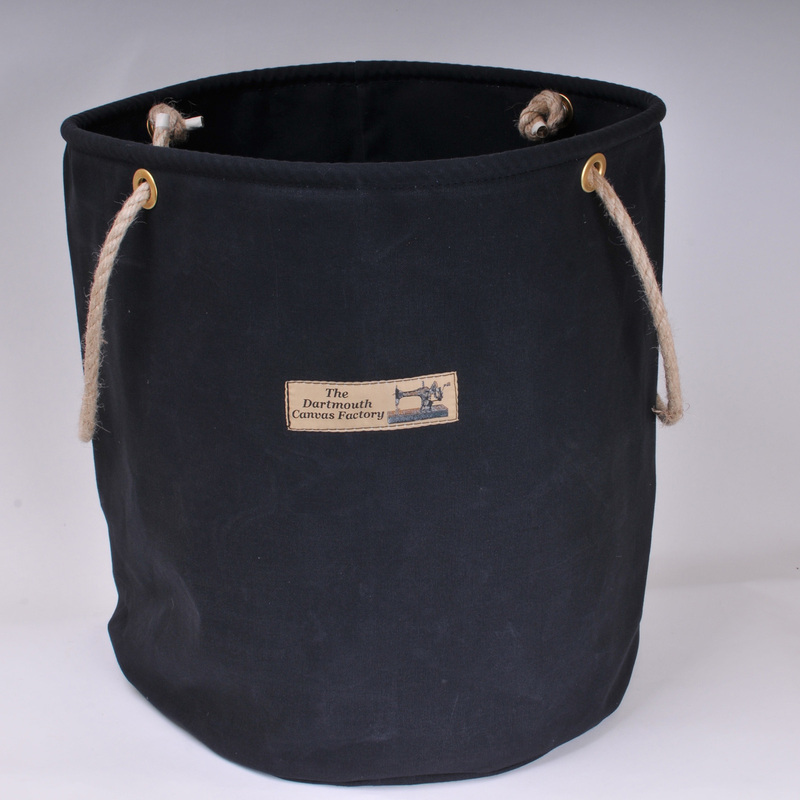 This is a classic large canvas bucket made in the 14 oz rot and waterproofed 100% cotton canvas. 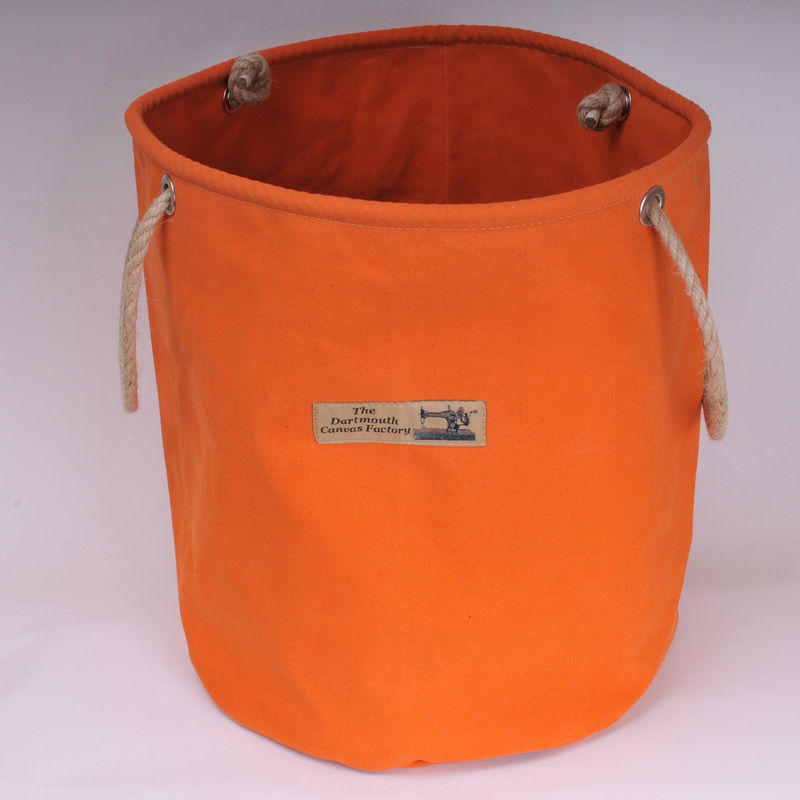 The dimensions are 45 cms in height with a diameter of 40 cms creating a capacity of 50 litres. The rim has a rope reinforced hem with solid brass eyelets and two natural hemp rope handles. 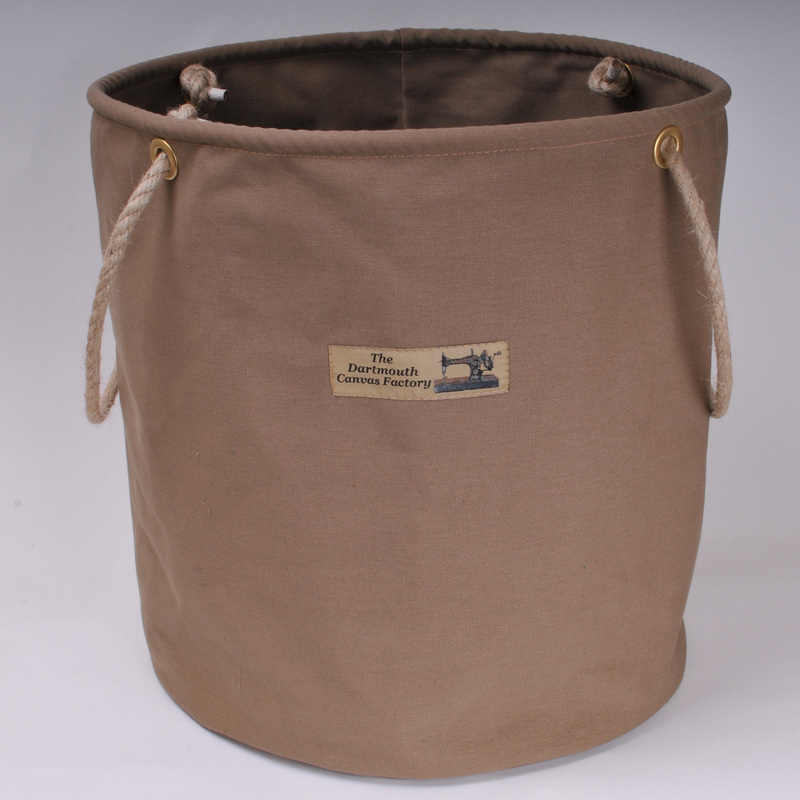 The sides walls are a double thickness of 14 oz canvas for additional strength and rigidity. 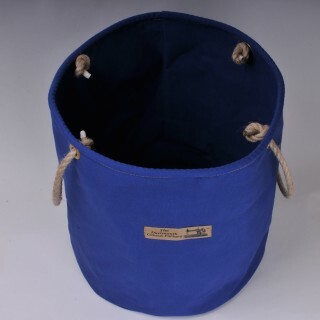 This bag is very strong and has a huge variety of uses as a log basket, a toy bucket or shoe store, a car boot store or to carry the weekly shop. 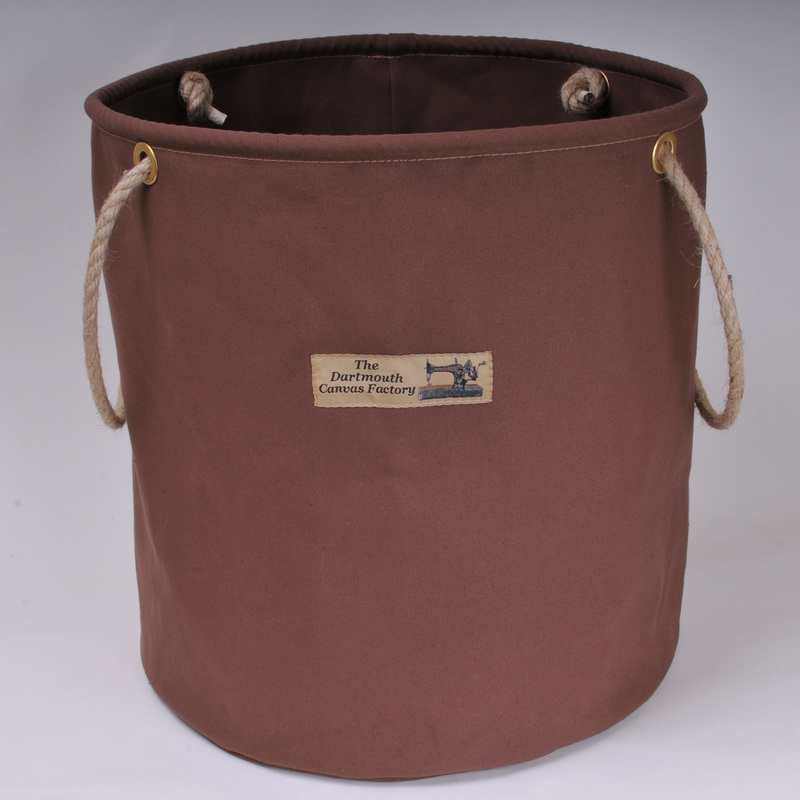 The bucket can be hand washed or machine washed on a gentle 30 degree cycle, allow to dry naturally and reshape while damp. 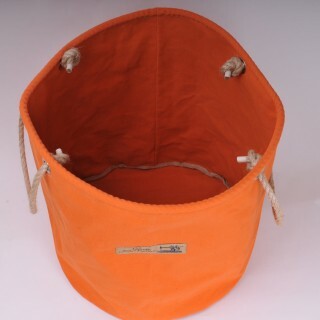 (Remove the rope handles before washing).